A Pinner pupil is celebrating after winning one of the top prizes in a popular annual challenge for primary schools. 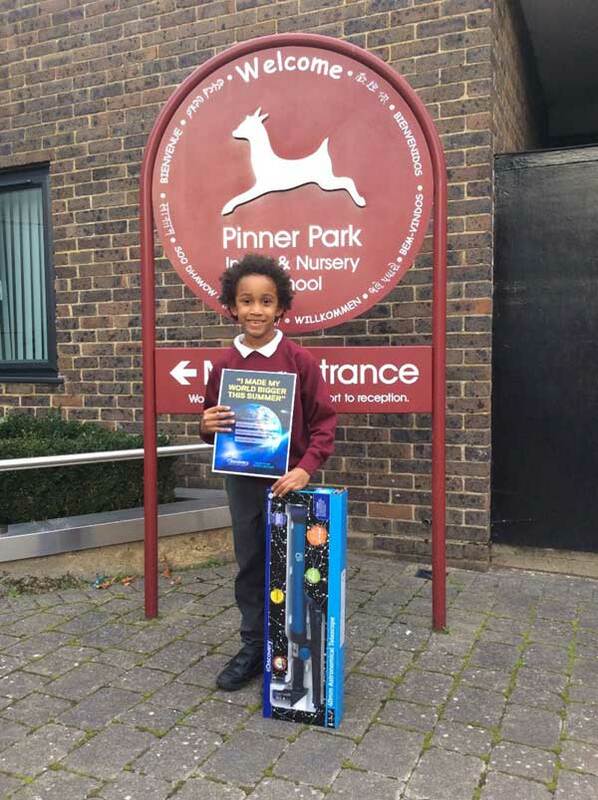 Jian Nedum Onwukwe, 8, from Pinner Park School has been announced as a winner of Make Your World Bigger 2018, a video challenge designed to keep children learning during the summer holidays. Year 3 pupil Jian was one of 10 national winners, and was presented with his prize at a special school assembly this week. Jian received a huge Discovery goody bag, packed with fun gifts and gadgets including a VR headset, telescope, butterfly garden and more. When Jian learned of his success he was overjoyed. He said "I couldn't believe that there were so many presents in the box. My favourite present is the telescope."